Four streamers grouped together to build and submit an insane NFL stadium concept in Fortnite’s Creative mode. 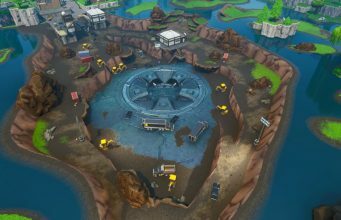 Fortnite fans have been loving the Creative mode added into the game during Season 6, which allows players to create maps, mini-games, and obstacles across their wildest imagination. We have seen players create replicas of Call of Duty maps along with original content ideas like a massive tropical race course. A group of four streamers got together to create an insane NFL stadium with the hopes of their map being featured on The Block during Super Bowl weekend. Fortnite streamers Pizo, LOL Imagine, MM22, and BTails streamed their perspectives of the creation. According to the video posted on YouTube, the build took the four Fortnite fans over 12 hours! 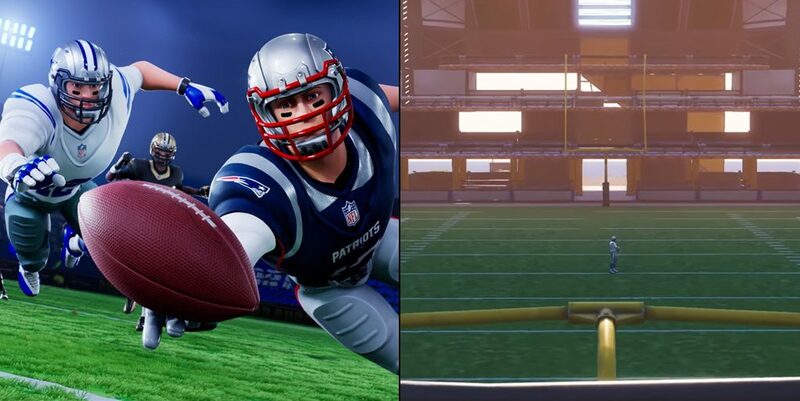 The video uploaded to YouTube walks players through the NFL stadium complete with different levels, yard line hash marks, and even a restaurant area! Epic Games has asked players to submit their creations using #FortniteBlockParty across social media in order to share their maps with the world, and the potential for it to be featured on The Block. What has been your favorite Fortnite creations, and have they appeared in The Block?